Happy 10th birthday BitTorrent! What types of torrents do you download? As far back as I can remember, the Internet has been a place for illegal downloads. Sure, the methods have changed, but the concept is the same -- getting something for nothing. While FTP servers, Newsgroups and services like Napster were very popular, they pale in comparison to the mighty BitTorrent. You see, torrents are very easy for the average person to use, and since it implements peer-to-peer technology, it takes the onus off of a single server from hosting content. In other words, Internet users are sharing the files among themselves. Much like FTP servers and Newsgroups, piracy is not the only use for BitTorrent. The underlying technology is even used by reputable companies, such as Amazon and Facebook. Unfortunately, even though torrents can be used for good, the technology gets a bad reputation due to the illegal aspect. 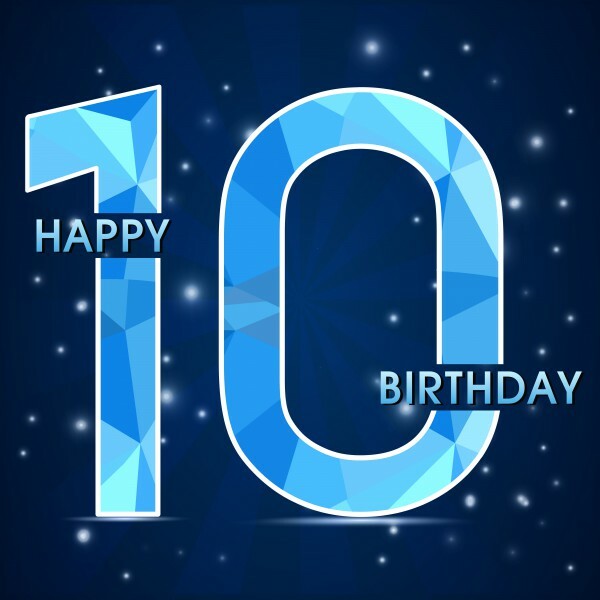 Today, BitTorrent is celebrating a 10th birthday and I want to know, what types of things do you download using the technology? BitTorrent was founded in 2004 to support the Internet's evolution -- providing a sustainable alternative to HTTP, an Internet protocol designed primarily for text. The introduction of the BitTorrent protocol allowed for unprecedented innovation: the development of an Internet built for rich media, and richer experiences. The world's leading web platforms, including Facebook, Twitter, eBay, and Wikipedia use BitTorrent as their backbone. Content companies such as Amazon, Blizzard, the BBC, and Humble Bundle use BitTorrent for content distribution. So does science's leading edge. At the heart of the Large Hadron Collider and the Human Genome Project is a human network, based on the BitTorrent protocol. Without BitTorrent, the web as we know it might not exist -- it's a driving force behind the Internet's past as well as its present", says Eric Klinker, BitTorrent CEO. Arvid Norberg, BitTorrent Engineer, explains, "our engineering teams are striving to enter this era, and we hope to share news soon as to how we aspire to shape the Internet we build next. But for now, we mark the occasion with a thank you. Without people, there would be no BitTorrent. Thank you to all employees, past and present, thank you to our partners and the community who have brought us to where we are today. The last 10 years have been great, but we are ready to embrace the next 10". Even if many armed-robbers wear ski masks when committing a crime, that does not mean that they cannot also be worn by honest people keeping warm in the winter. The same goes for BitTorrent -- just because people are using the technology to download pirated copies of Windows and episodes of Game of Thrones, doesn't mean it is only used for bad purposes. Quite frankly, I use torrents for one reason only -- downloading Linux distributions. Not only does this take the weight off of the owner's server, but often results in a faster download too. Most importantly, the technology can be used for very noble purposes, like the dissemination of information and knowledge. Whether or not you feel that the actions of Wikileaks were treasonous or patriotic, it is a great example of how BitTorrent can be used to share information without intervention. Had the Wikileaks documents been hosted on a single server, it likely would have been quickly shutdown -- BitTorrent kept the leaks alive. Forget about the USA for a moment and think of oppressive governments like North Korea; by using torrents to spread information, it has a greater chance of flowing freely. Jascha Kaykas-Wolff, BitTorrent CMO shares a rather interesting bit of information by explaining, "BitTorrent today is a people-powered network of over 170 million around the world, responsible for moving up to 40 percent of all Internet traffic, on any given day; and also responsible for making that traffic manageable". Think about that for a second; moving up to 40 percent of all Internet traffic. Whoa. So, I want to know what types of torrents you download. In the comments, please share your fondest memories of using BitTorrent over the last decade.